With summer approaching fast, I would love to hear where you get your swimming suits, I prefer a tankini and would love to hear how you shop for bathing suits and your favorite places to go on the web or stores!! I saw on my little tracker that I have been getting feed from others looking from all over the United States! I know I have lots of family looking, so if your looking leave me a short comment, and what state you are from?? My little angel is my little side kick, where ever mother is there is Carson, mainly because I am his #1 food source and also I think I am VERY protective over him. But hey it was a rough pregnancy and these kids dont come to me without a lot of work and pain involved so I feel entitled to be smothering. He SITS up all by himself and has been for about a month now, so 7 months, he has been rolling since month 4 and he gets around really fast now. Everything does go into his month and that is a challenge for us because Kaden never put anything in his mouth, so I clean all the toys more then I clean anything. 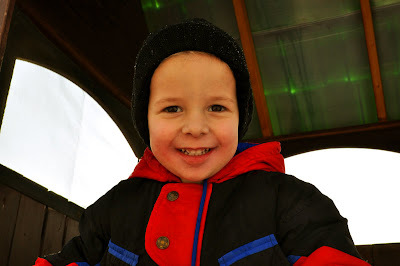 He AMAZES me, he smiles ALL the time, he really is a good tempered kid and not too fussy. A couple of weeks ago I put Carson in the swing in the kitchen and Kaden unlocked the gate that holds him in the swing and pushed him out while I was doing dishes. He launched a few feet from the swing and when I got to him he was face down not moving, I picked him up and as soon as I did he threw up everywhere. I rushed him to the ER and he had a pretty good concussion. Poor kid. Life never seems to be boring around this house. I am so blessed to have the privilege to be his mommy and that he is still healthy and happy. We count our blessings everyday for this little stud muffin! He doesnt fuss often but when he does it is still CUTE! He smiles ALL the time! So lucky to have such good boys- Heaven is what it is! They are best friends! The cold weather is not holding us back from having fun. We have been playing outside quite a bit, and in the BACKYARD, I know what your thinking! Yes I will go in the backyard and play all day and run around as long as there is snow on the ground and NO SNAKES I will be just fine! :) We went sledding with The Anderson clan, and it was fun. Kaden loves playing in the snow and complains because I make him wear that snow suit and he gets hot, but better then frost bite I tell him! :) Winter is melting away and hopefully almost over, not my favorite season!